I finished another quilt. I realized I forgot to say these are not Christmas commitment quilts. The last 4 or 5 have been “only if I have time” quilt tops that belong to friends. The quilts kept me busy as I stayed out of the way of workmen moving around the house. There’s no better place to stay out of the way than against the wall behind a quilting machine. I did a simple feather on the outside border and a curly vine on the inside border. I think my brain is stuck on curly vine designs. 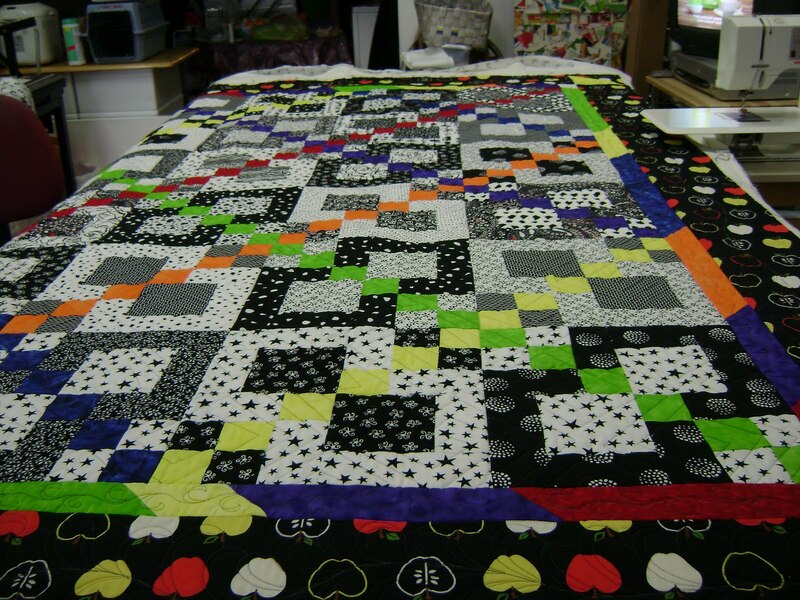 The inside of the quilt got square dance panto. Finally! 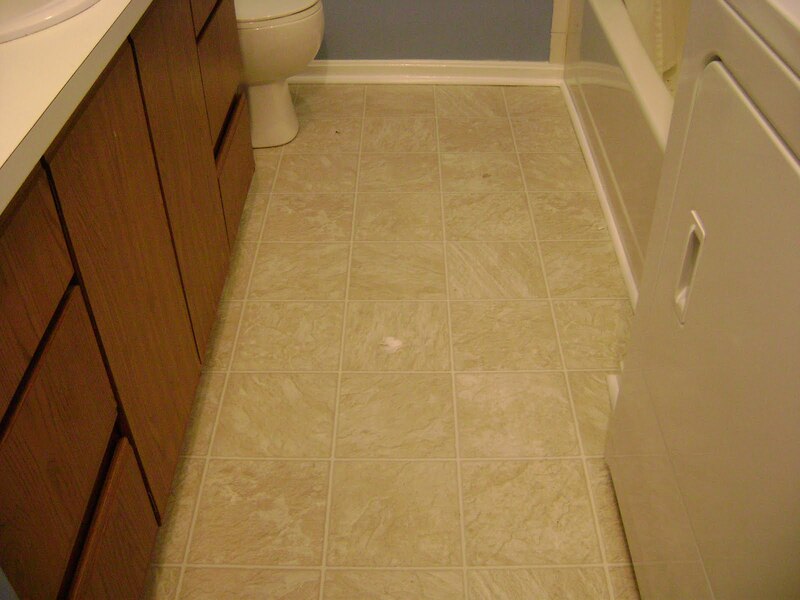 The floor in the bathroom is finished. This is how it looked before. Water damage had caused the vinyl tiles to start coming loose. Much better! 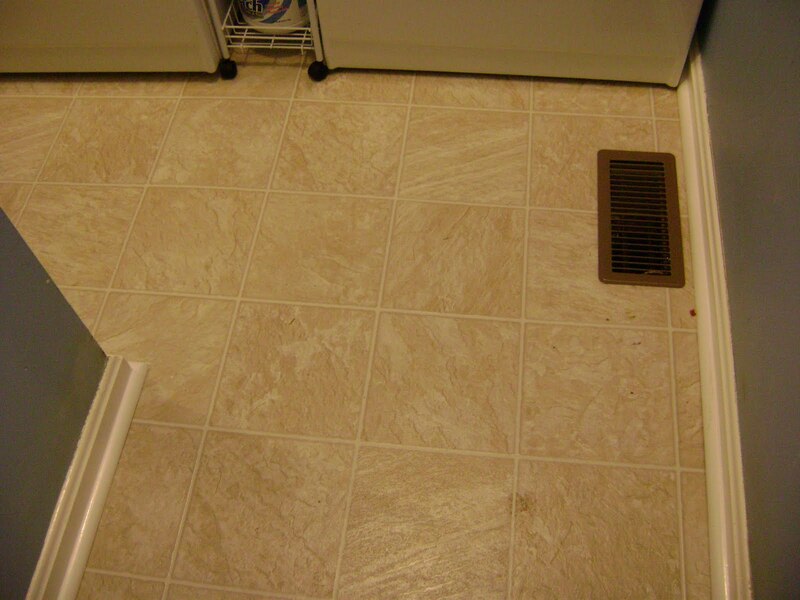 It looks like real tile instead of linoleum. Thanks! I'm sure I won't use the same fabrics but I was thinking the pattern and colors were what he'd love and why I asked. 😀 He wanted a quilt for my house and for dad's house so I have been looking for something colorful, yet different. 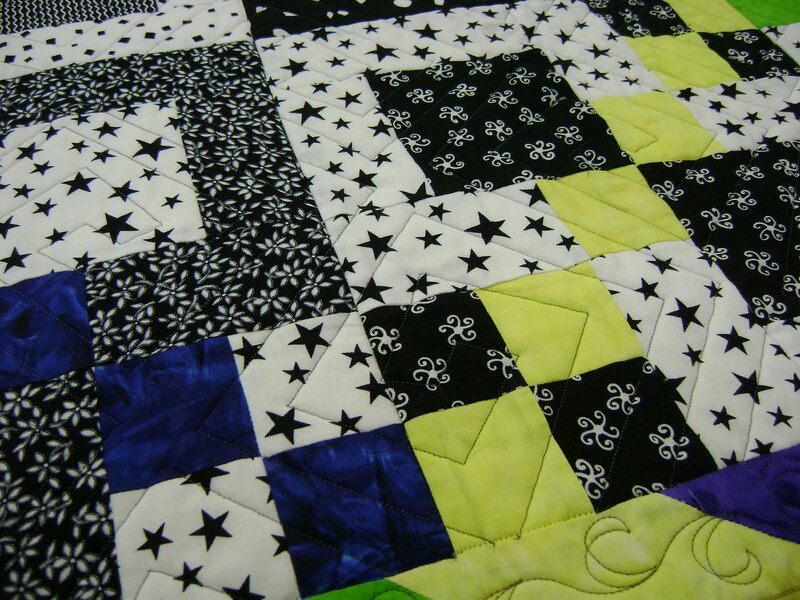 Hmm… Copycat the quilt? Sure, it would be ok with me. Sorry about the floor but that quilt is fantastic! I'm going to have to consider making a copycat one for my 9-yr old. Would that be okay? 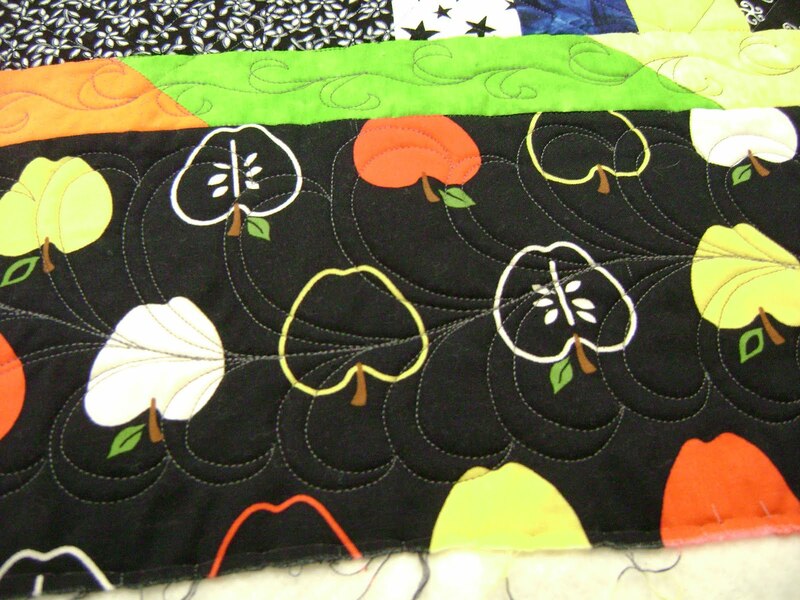 This entry was posted on December 10, 2009 by Anita in Customer quilts 2009.